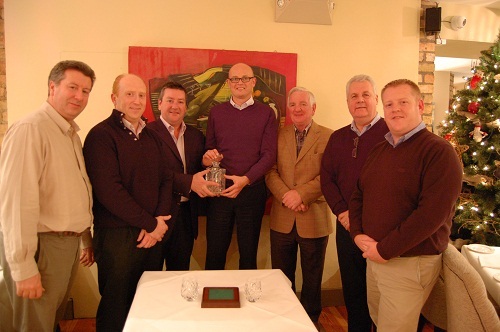 Pictured: The Butler Group awarded Flir Distributor of the Year 2010. Eddie Butler, Managing Director of the Butler Group presented the award to Guy Pas of Flir. Flir received the award for their cutting edge development of their full range of thermal cameras within the Irish market, combined with their policy of working in partnership with their distributors. It is this partnership and support which has enabled the Butler Group to expand its successful business in thermography cameras and continue to grow their security camera business (see Sunday Business Post 14/11/2010 Business & Home Security supplement). For further information on Flir cameras, please contact David Doyle on + 353 1 6292620 or go to the Security and Surveillance Section of the website.